Luciano Pavarotti was born in 1935 on the outskirts of Modena in Northern Italy, the son of Fernando Pavarotti, a baker and amateur tenor, and Adele Venturi, a cigar factory worker. Although he spoke fondly of his childhood, the family had little money; its four members were crowded into a two-room apartment. According to Pavarotti, his father had a fine tenor voice but rejected the possibility of a singing career because of nervousness. World War II forced the family out of the city in 1943. For the following year they rented a single room from a farmer in the neighbouring countryside, where the young Pavarotti developed an interest in farming. 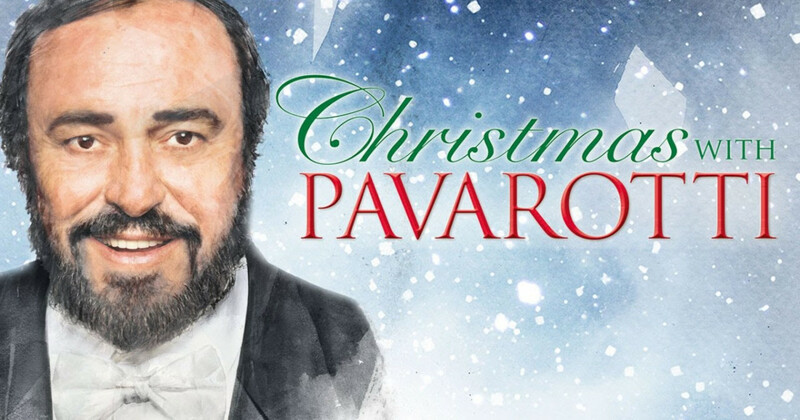 After abandoning the dream of becoming a football goalkeeper, Pavarotti spent seven years in vocal training. Pavarotti's earliest musical influences were his father's recordings, most of them featuring the popular tenors of the day – Beniamino Gigli, Giovanni Martinelli, Tito Schipa, and Enrico Caruso. Pavarotti's favourite tenor and idol was Giuseppe Di Stefano and he was also deeply influenced by Mario Lanza, saying: "In my teens I used to go to Mario Lanza movies and then come home and imitate him in the mirror". At around the age of nine he began singing with his father in a small local church choir. After what appears to have been a normal childhood with a typical interest in sports—in Pavarotti's case football above all, he graduated from the Scuola Magistrale and faced the dilemma of a career choice. He was interested in pursuing a career as a professional football goalkeeper, but his mother convinced him to train as a teacher. He subsequently taught in an elementary school for two years but finally allowed his interest in music to win out. Recognising the risk involved, his father gave his consent only reluctantly. Pavarotti began the serious study of music in 1954 at the age of 19 with Arrigo Pola, a respected teacher and professional tenor in Modena who offered to teach him without remuneration. According to conductor Richard Bonynge, Pavarotti never learned to read music. In 1955, he experienced his first singing success when he was a member of the Corale Rossini, a male voice choir from Modena that also included his father, which won first prize at the International Eisteddfod in Llangollen, Wales. He later said that this was the most important experience of his life, and that it inspired him to become a professional singer. At about this time Pavarotti first met Adua Veroni. They married in 1961. When his teacher Arrigo Pola moved to Japan, Pavarotti became a student of Ettore Campogalliani, who at that time was also teaching Pavarotti's childhood friend, Mirella Freni, whose mother worked with Luciano's mother in the cigar factory. Like Pavarotti, Freni went on to become a successful opera singer; they would go on to collaborate in various stage performances and recordings together. During his years of musical study, Pavarotti held part-time jobs in order to sustain himself – first as an elementary school teacher and then as an insurance salesman. The first six years of study resulted in only a few recitals, all in small towns and without pay. When a nodule developed on his vocal cords, causing a "disastrous" concert in Ferrara, he decided to give up singing. Pavarotti attributed his immediate improvement to the psychological release connected with this decision. Whatever the reason, the nodule not only disappeared but, as he related in his autobiography: "Everything I had learned came together with my natural voice to make the sound I had been struggling so hard to achieve".